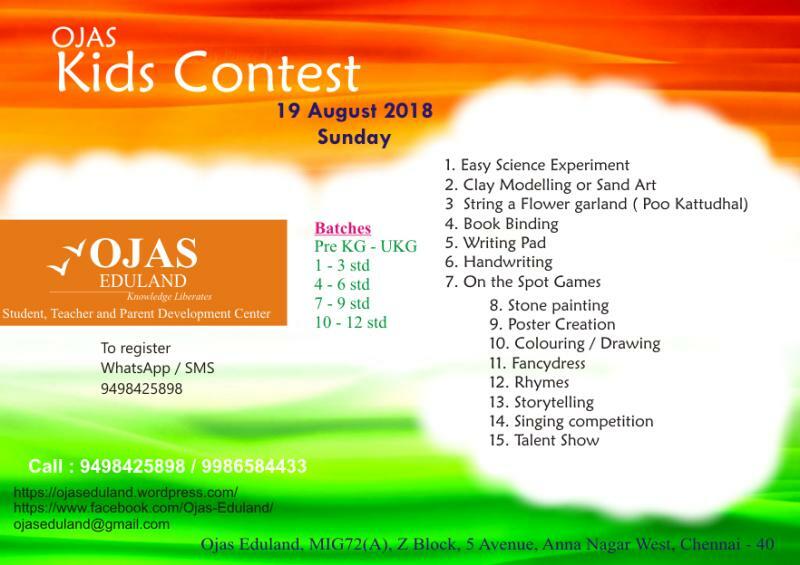 “Ojas Eduland” conducts Kid’s Competition on 19th August 2018, Sunday. Needle & Thread or any other reused material of their choice. Book binding glue or any other reused material of their choice. Participants can wear any costume that represents Indian culture. i.e., they can dress like a Punjabi or Hindu priest or Kashmir pandit or Musalman or Kerala kadakali dancer etc.